We are pleased to announce the arrival of a new VP of Sales, John Leinen. John will be joining us next week, and we know he will be a great addition to the team. It’s an exciting time in Madison and at the GMCVB! Attracting marquee events to a city is a complex endeavor, requiring time, patience and the support of a community. And, as the saying goes, it often “takes a village” to stage successfully. 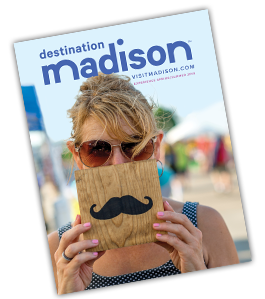 This year we&apos;ve been busy welcoming back established events as well as hosting many first-time events in Madison (and we&apos;re not done yet!). We welcomed our second Ironman event to Madison when we hosted the inaugural IRONMAN 70.3 Wisconsin this summer. It was fantastic to greet so many first-time visitors to Madison and Dane County. The event provided new June business activity for our hotels, restaurants, retailers and area communities, which is the purpose behind our work. Like our beloved IRONMAN® Wisconsin, IRONMAN 70.3 relied on many of you and others to pull off an event that safely sees hundreds of people swimming, biking and running throughout the region. Next month, we will welcome the 2017 Reebok CrossFit Games to Madison. Attracting and securing this event has been a monumental effort of our Madison Area Sports Commission, the GMCVB and both of our Boards of Directors. Beyond our team, the Alliant Energy Center, hotels, restaurant partners, the Downtown BID, law enforcement and many others have stepped up to pave the way and prepare for this globally prestigious event. We cannot wait for this group to arrive the first week in August and hope that everyone in Madison is geared up to welcome, witness and cheer on those that qualify for the Games as well as their friends and CrossFit families. In Spring, we announced the Bucky on Parade event for 2018. Our partnership with UW Madison is allowing this event to become a reality after contemplation of launching it for over 10 years! Using the model of CowParade Wisconsin, Bucky on Parade will come to fruition in May of 2018 when over 100 life-size “Buckys” will be placed throughout Madison and Dane County. Our beloved Bucky Badger will be decked out—painted and designed to reflect many aspects of our community and characters by artists from Wisconsin and beyond. The planning and execution of this event will take a full year and involve hundreds of people. On behalf of the GMCVB and MASC Staff and Boards, we salute all of you that support our work and provide the insights and help needed to stage successful events. We also thank you and our entire community for turning out to acknowledge, inspire and engage the participants and visitors of events we strive to secure for the destination. Joe Okada, owner of Madison Fishing Charters, started fishing when he was six years old and fell in love with the sport. In addition to being a professional angler, he shares his passion with others via guided fishing trips on the Madison and Green Bay lakes. Joe&apos;s Insider Tip: The best time to fish locally is between May and August. Joe finds that his guests are most surprised that they can catch bass, walleye and panfish all within eyesight of the capital. Although there are no "secret fishing spots," Joe says the most important thing is to be aware of what the fish are doing that time of year and make appropriate adjustments in your location. Madison Fishing Charters offers half- and full-day guided tours on the Madison chain of lakes mid-April through October and welcomes all ages and skill levels. After all, you’re never too young, too old or too inexperienced to enjoy a day out on the lakes trying your best to reel in a walleye. 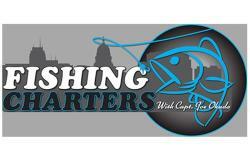 To make it even easier, Madison Fishing Charters provides the equipment and fish cleaning. The GMCVB would like to wish Joe the best of luck with the upcoming National Walleye Tour 2017 Championship! 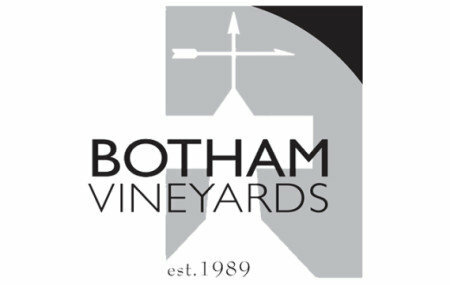 Botham Vineyards has been growing and producing regionally distinctive wines of international acclaim since 1989. Tastings daily during regular seasonal hours. Private and corporate events, weddings and private tours. 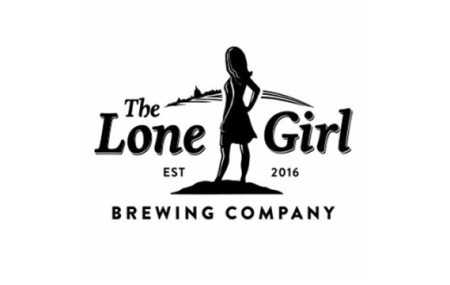 Located 10 minutes north of the Capitol, enjoy one of 12 craft beers brewed on-site alongside our brewpub-style menu featuring daily specials within a family-friendly atmosphere. 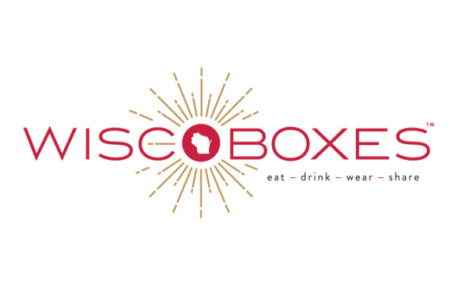 Using thoughtfully curated all-Wisconsin products WiscoBoxes creates exquisitely designed, themed boxes for personal and corporate gifting that feature growers and artisans who embody the spirit of Wisconsin. For 10 years, the Diamond Award-winning Courtyard by Marriot – Madison West/Middleton hotel has been making guests feel right at home at their location near many major west-side companies and just minutes away from downtown. The Hawthorn Suites by Wyndham (formerly Candlewood Suites) celebrates its 10-year anniversary this month. This warm and welcoming hotel has been providing a great stay for guests with their indoor pool, workout facilities and pet-friendly policy. It&apos;s already been a decade since Ruth&apos;s Chris Steak House opened its Middleton location! With handcrafted cocktails, savory entrees and a casually elegant atmosphere, Ruth&apos;s Chris is an ideal place for a date night, girls&apos; night out, celebration or business dinner. La Quinta Inn & Suites Madison has been greeting travel-weary guests with a smile and a complimentary Bright Side Breakfast for 20 years. A recipient of a Trip Advisor Certificate of Excellence, La Quinta continues to impress with their children’s play area, fitness center and a convenient location near many of Madison’s best attractions. This week marks the 20th anniversary of the Frank Lloyd Wright-designed Monona Terrace® Community & Convention Center. The impact of this award-winning convention center goes beyond numbers, serving as a host for free community programs, a tourist destination, and iconic part of our Madison skyline.